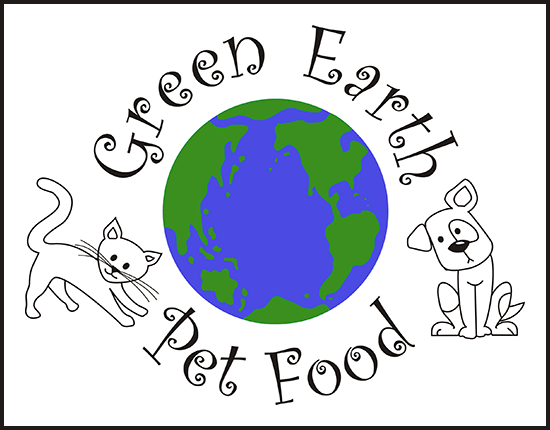 Green Earth Pet Food is committed to the environment and believes that we, both humans and our animal companions, need to treat our planet with care and respect. Based on our holistic and sustainable philosophy, we use only the best, certified organic ingredients. We do not use anything artificial nor do we use GMO or irradiated ingredients, ever! Our story began in 1998, when Kristi, the owner of Green Earth Pet Food, had a beautiful German shepherd named Shadow who was diagnosed with advanced bone cancer at only 8 years old. 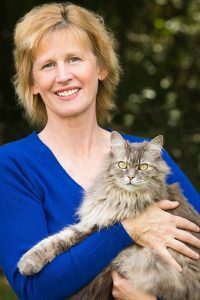 When her vet recommended feeding Shadow a homemade diet of rice and chicken, Kristi began investigating pet food diets through numerous books, articles, Internet websites and interviews with holistic veterinarians. The discoveries Kristi made were literally life changing. Kristi discovered information about the many dangerous, harmful and poor quality ingredients used in most commercial pet foods. Further investigations revealed that raw food was more beneficial than cooked food due to the naturally-occurring digestive enzymes in raw food, making the food more bio-available to the dog or cat. After two years of research, Kristi began feeding only raw, human-quality food to her own pets with amazing results. And after the success of her own pets’ health, Kristi began to tell her family and friends about the benefits of feeding a raw food diet. It was one of those friends who encouraged Kristi to start up her own business making and selling this wonderful food so other health-conscious people could have happy and healthy pets. And because Kristi has become a professional cat herder due to her many “foster failures,” she also has a sister company called Climb-It Cat which sells eco-friendly products designed by and for cats.